As a last fling before we leave mainland shores, we drove to Los Angeles to visit some of my favorite childhood vacation places. 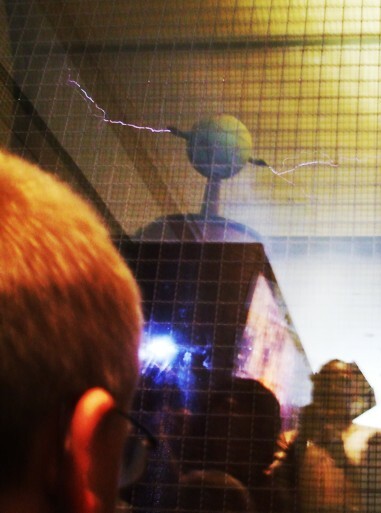 My grandparents always took us to museums when we'd spend a week with them each summer, and this was one of my favorites. Now I'm sharing the memories with the next generation. 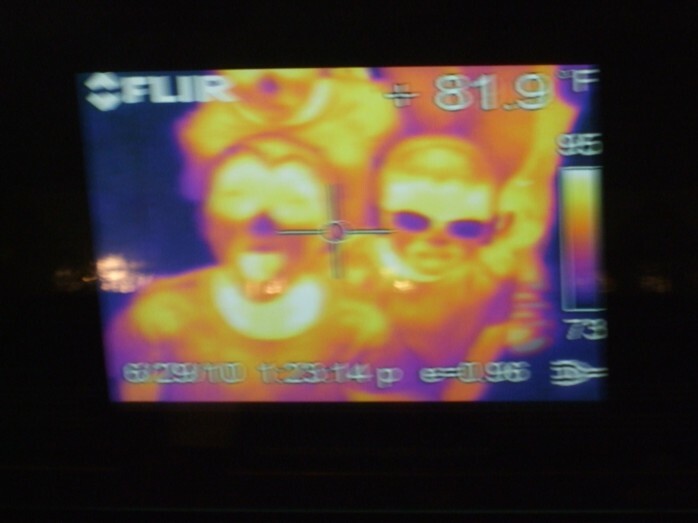 But I also saw some fun new exhibits, like the infrared camera. 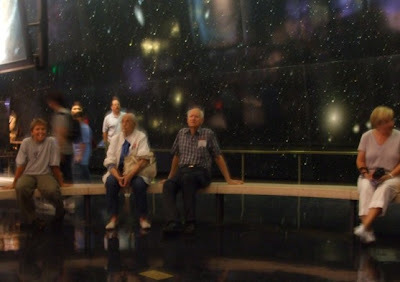 And best of all, the Big Picture, a Hubble Space Telescope image of a tiny sliver of sky, magnified and spread across the length of the whole exhibit hall. I could just sit there and stare at it all day. Admission to this amazing place is absolutely free. If you are ever in LA, don't miss it! 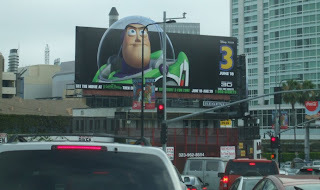 Why don't they have billboards like that in Las Vegas? What a great post about a great trip! I must admit that I am a little jealous... But mostly I'm just glad that you guys made it out there & made some very meaningful memories. 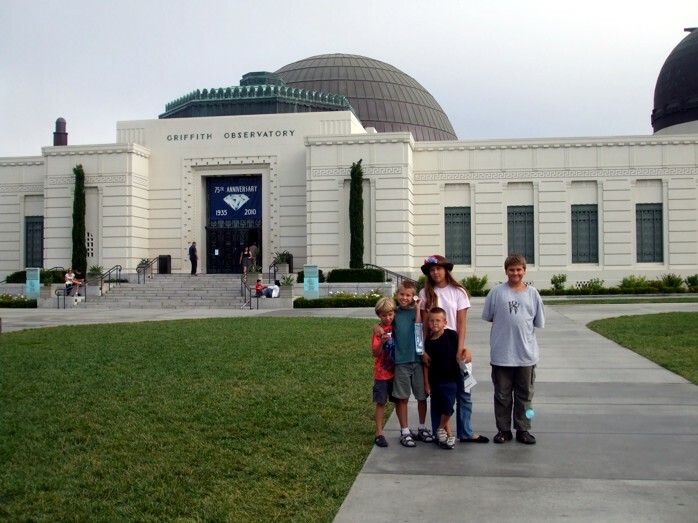 We just watched "Rocketeer" the other day, so when dad saw this post he said, "Hey, that's where they filmed "Rocekteer" - and so it is! It's a great building. They know it -- they were selling Rocketeer at the gift shop. What a fun day! 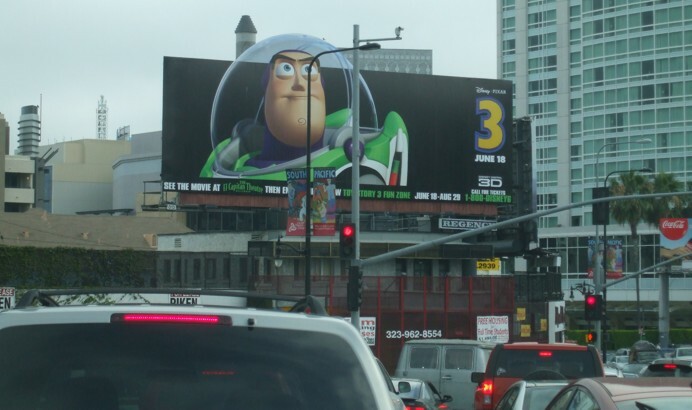 And, Vegas could use a good Buzz Lightyear billboard. WHAT IS THAT BIG GREEN THING IN THE FRIDGE?